The executePrereqs command executes the prerequisites checks and reports the results. 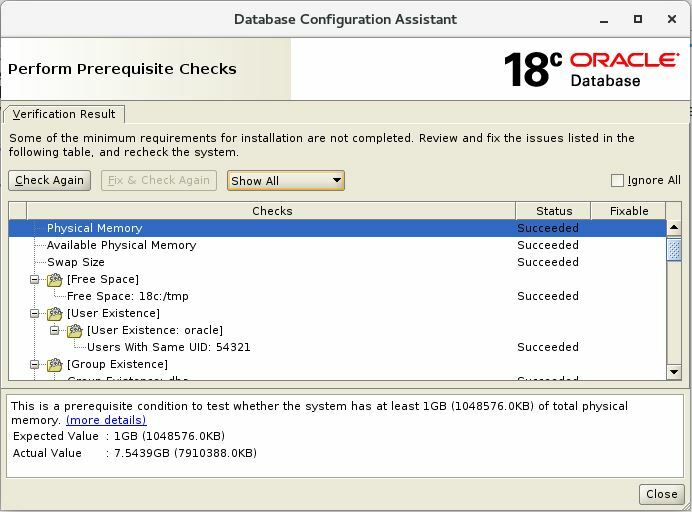 This command can be used to check the environment before running dbca to create a database. -executePrereqs - Command to execute prerequisite checks.